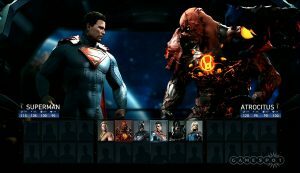 Q: How many characters will be playable in Injustice 2? 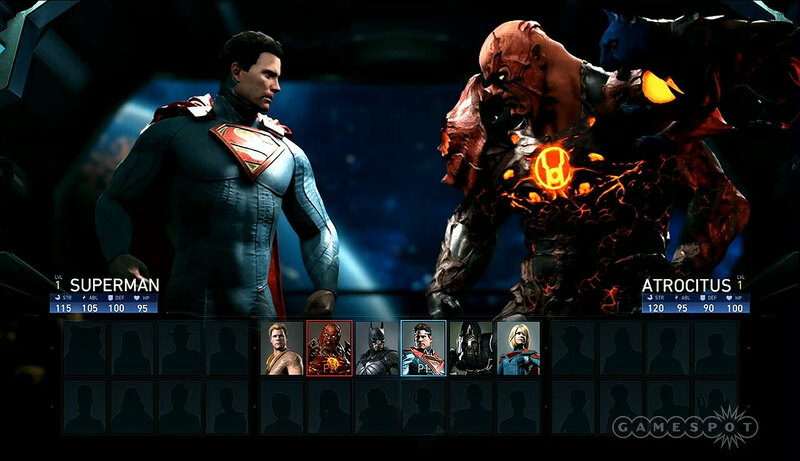 A: The E3 demo contains 6 playable characters and the current version of the select screen includes 28 characters. This might however change as the game is still in development. Q: Will the game focus on the tournament scene or rather on the casual players? 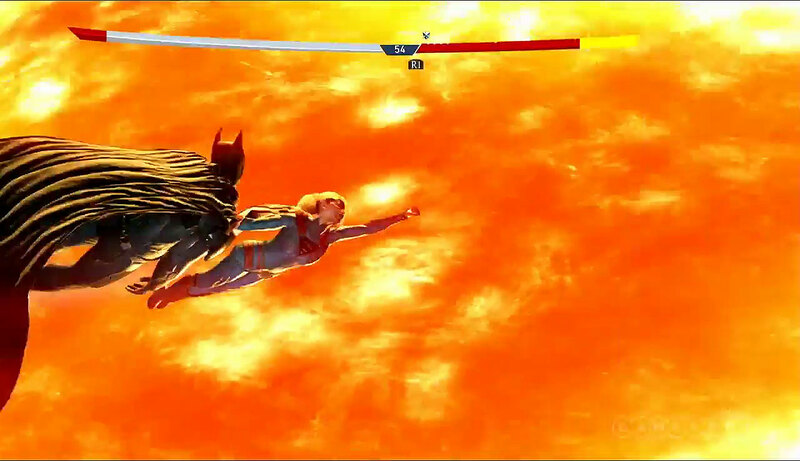 A: Just like with Mortal Kombat, Mortal Kombat X and Injustice: Gods Among Us the game will focus on both. It will be easy enough to be enjoyable by everyone but still offer deep gameplay for the players who want to take it one step further. Q: What is the gear? A: A Gear is a costume piece that power up your player. Q: How will gear be obtained? A: The players will obtain gear at the end of a match. 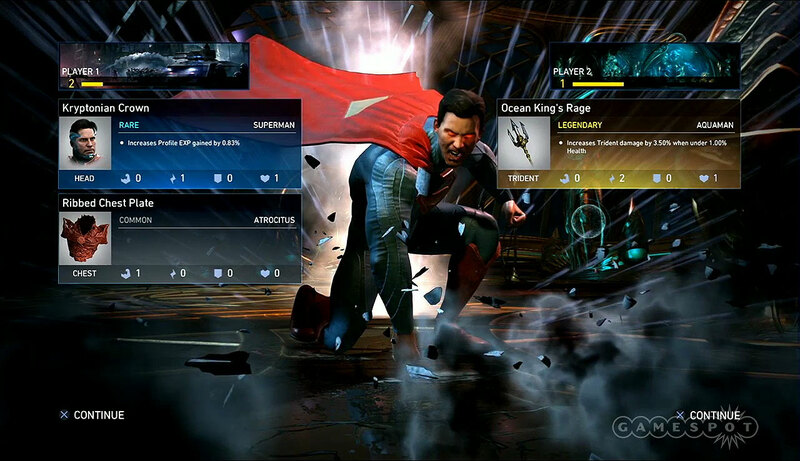 Gear is categorized, similar to the gear in Injustice Mobile. For example there is Rare, Common and Legendary. Gear can be equipped, molded or saved. Q: Who is the can fighting alongside Atrocitus? A: It’s Dexter, another Red Lantern. Q: How is gear going to working with tournament play? A: There will be a solution to balance the characters for tournaments. Q: Did Batman V Superman or the other movies and show influence Injustice 2? A: Not directly. Inspiration is however drawn from the entire DC Universe. Q: Did Mortal Kombat X influence Injustice 2? A: Each game influences the next, as the team reflects on what worked well and what did not. The gear system itself builds upon the variation system from Mortal Kombat X and has the goal to give the player control over the customization of the character. Q: Is there a micro-transaction system behind the gear system? 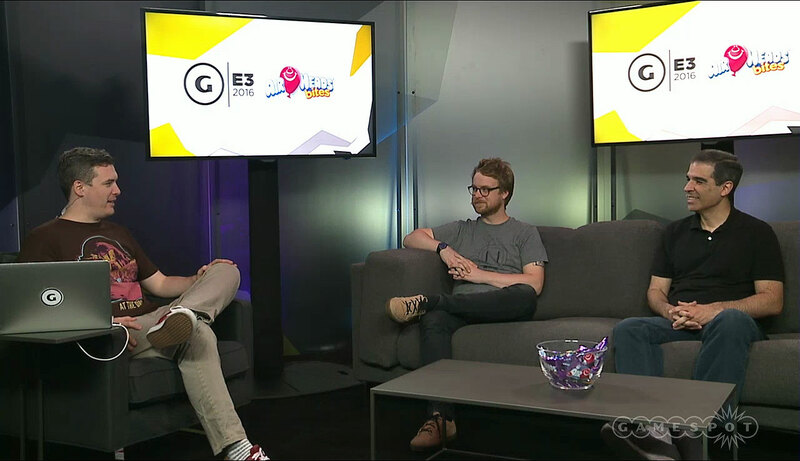 A: There haven’t been any discussions about micro-transactions yet. The studio is currently focusing on the implementation of the system and creating a longer lasting experience. Q: Is there a bi-annual schedule for the Injustice and Mortal Kombat games? A: It looks like it so far, but there is no big picture plan behind it. Netherrealm Studios wants to support the games for a longer period, so this might affect the releases of new games in the future. Q: Will there be a story mode, like in Injustice: Gods Among Us and Mortal Kombat X? A: Absolutely. According to Ed Boon with each game they try to expand the story mode. SOme cool twists were added to the story. Q: Is Injustice 2 going to use GGPO for online play? A: Yes, the Netherrealm Studios will use GGPO and everything they learned with Mortal Kombat X/XL to offer the best possible online experience. What do you think about the direction Injustice 2 is taking, let us know in the comments below.